Nicefor Czernichowski (Nicefor Jaxa-Czernichowski) was a Polish noble who was exiled to Siberia in the course of the Polish-Russian war. In 1656, in an act of revenge, he murdered the voyevoda of Ilimsk (who raped his wife) and fled to the Amur where he reoccupied the ruins of Albazin and gathered a band of supporters. Nicefor Czernichowski became a Russian prisoner in 1633 during the battle near Novhorod-Siverskyi (most likely together with his father, Roman); his name was mentioned in the Russian chronicle "Razriad". In August 1633 he was exiled to Vologda. Due to a peace treaty ending the Polish-Russian war in 1634 he was entitled to be liberated. As he married Moscow women, he initially intended to stay in Muscovy; he swore loyalty to the Tsar and in 1635 he converted to Orthodoxy. He later changed his mind and in the company of 7 companions he headed towards the Polish border. He may have been unaware that he was no longer entitled to return to his homeland (at least in the eyes of the Tsar). On 3 July 1636 he was captured and exiled to Yeniseysk, arriving in 1637. His wife accompanied him during his fateful exile. 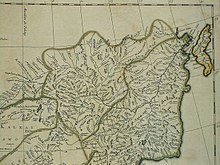 In 1649 he was sent further away to Ilimsk, then to Ust-Kut and Kirensk. He cast his great seed and his family grew to 3 sons and 2 daughters. In 1656 he became leader of the cossacs. His address to Tsar to restore noble status was left unanswered in 1657. In 1664, the voyevoda of Ilimsk Lawrentij Obuhov raped the daughter of Nicefor – Pelagia, the wife of pop Foma Kirylow. In an act of revenge Nicefor murdered Obuhov in 1665. Nicefor subsequently was outlawed; he organised group of 84 cossacs, including the orthodox monk Hermogenes and traveled towards the Amur river bordering China, where he settled at the ruins of Albazin. Nicefor founded a petty kingdom among the local Daur people. His new domain stretched down the river to the mouth of the Zeya River, 500 km from Albazin. The state was called Jaxa – derived from Nicefor's coat of arms. Monk Hermogenes wrote down Code of Law. From the beginning Nicefor´s international position was peculiar – his state was not recognised by Russia nor China. The state consisted of only 500 people. After initial struggles with Russia, he unilaterally recognised overlordship of the Tsar in 1669. In 1670 he defended his state against a Chinese expedition. In 1672 the Tsar issued a death sentence against Nicefor that was followed by an act of mercy 2 days later. In 1674, Nicefor Czernichowski was nominated for the position of voivod in charge of Albazin. In 1675, he was called by the Daur that had been resettled in Manchuria by the Chinese and wanted to return to join the state of Jaxa again. Most likely he died during the expedition to Manjuria. This Jaxa state was internationally recognised i.e. visited by diplomats of France and the Netherlands (Nicolaes Witsen). ^ (in Polish) Zygmunt Łukawski, "Historia Syberii" Wyd. Ossolineum, Wrocław 1981.